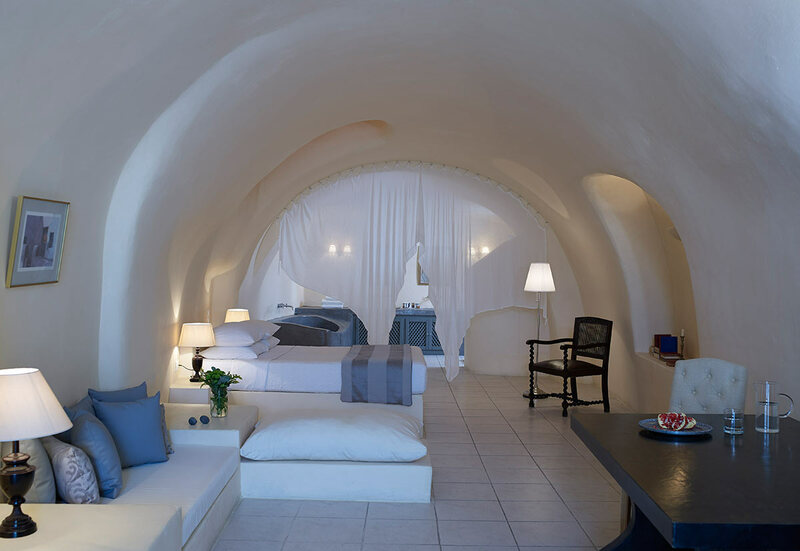 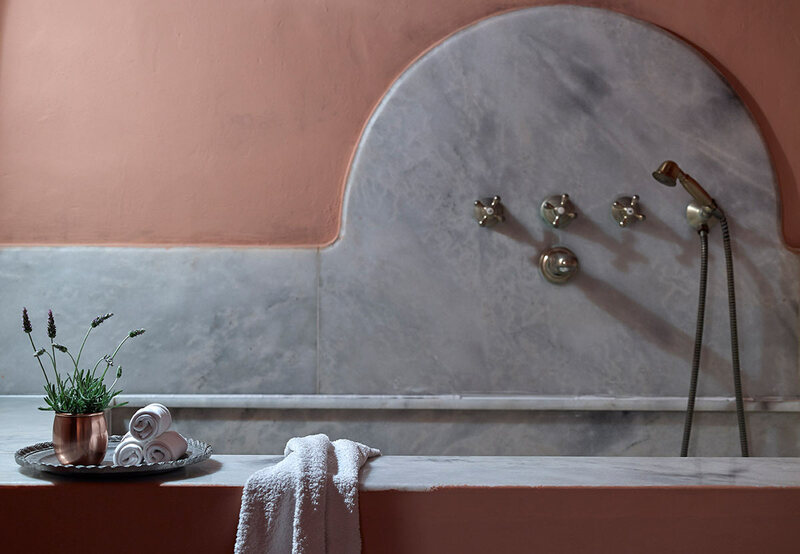 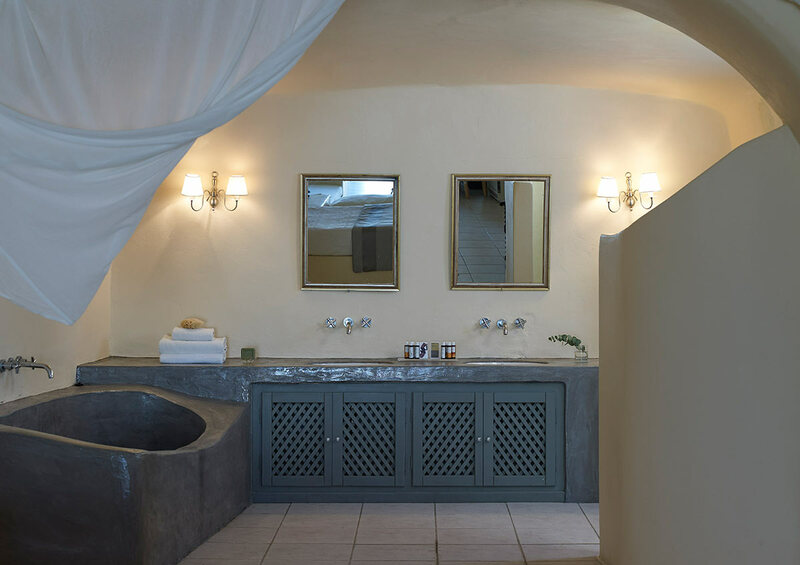 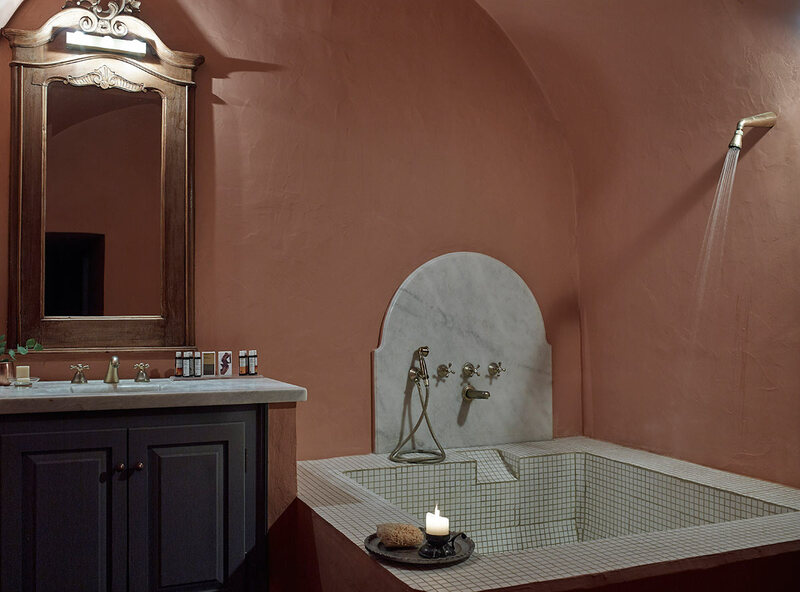 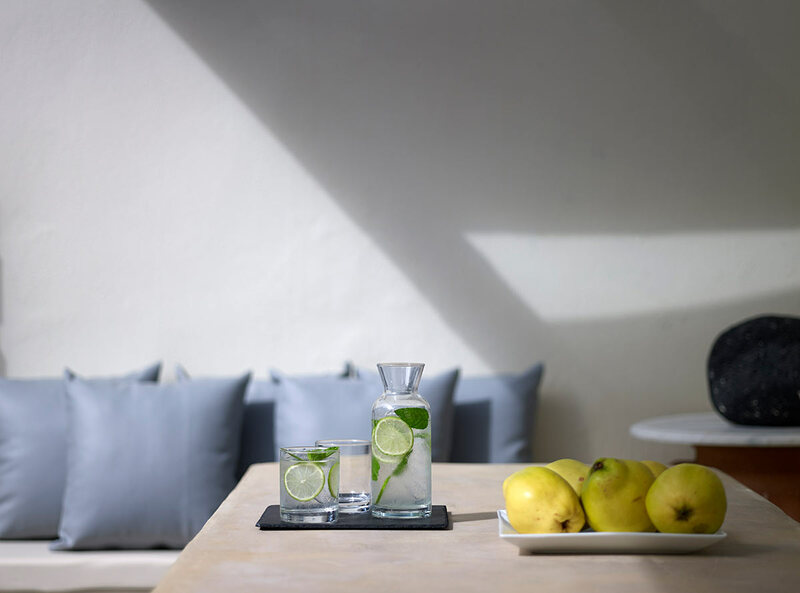 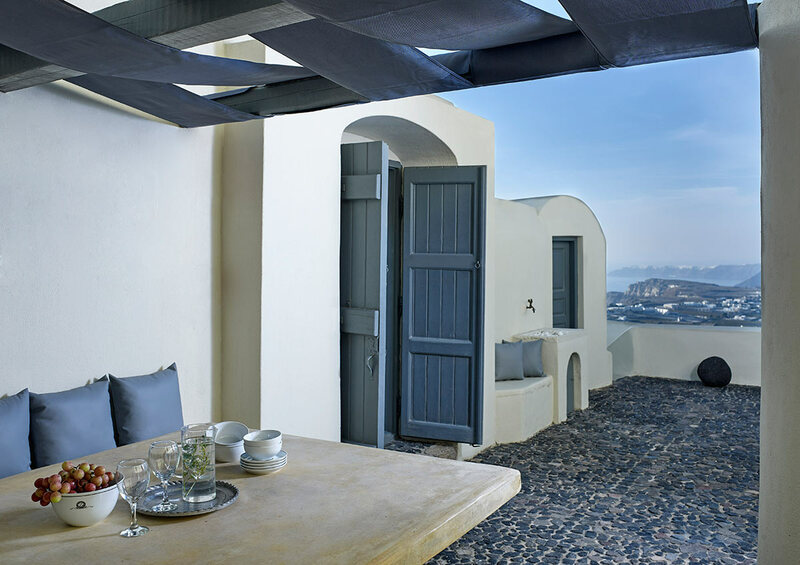 The unique high ceiling canavas were transformed into comfortable and elegant suites that can accommodate up to two people who really want to feel the authentic spirit of Santorinian atmosphere. 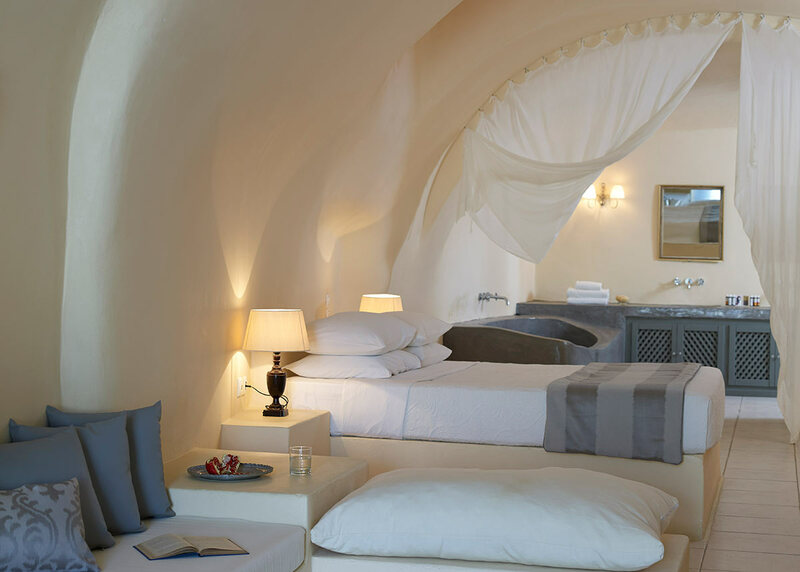 The comfortable canavas with the atmospheric lighting and the exceptionally elegant furniture will immerse you into the unique atmosphere of authentic Santorinian hospitality. 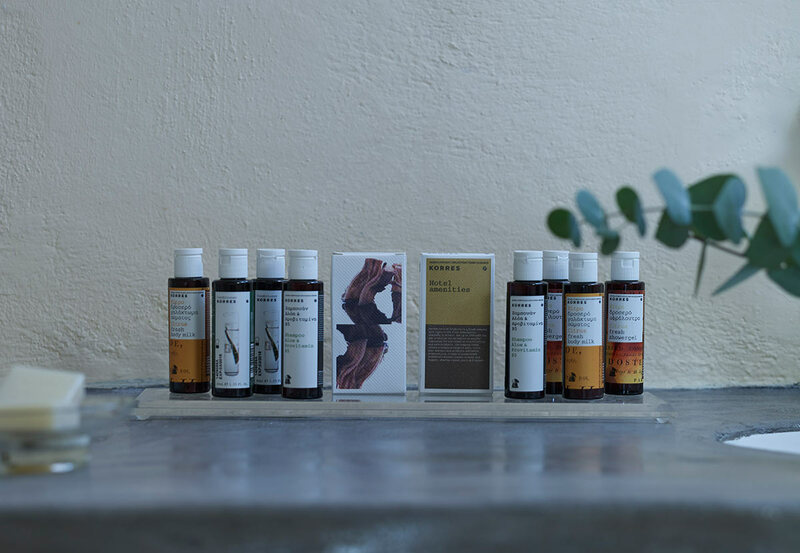 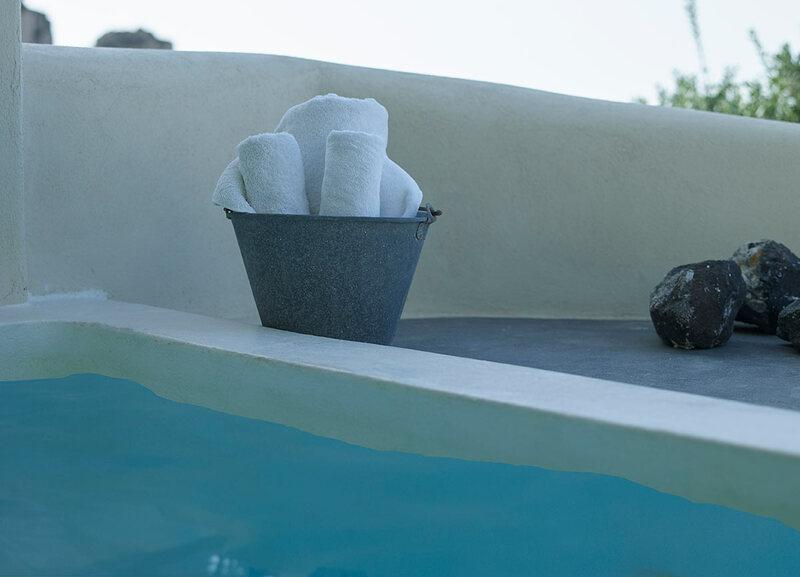 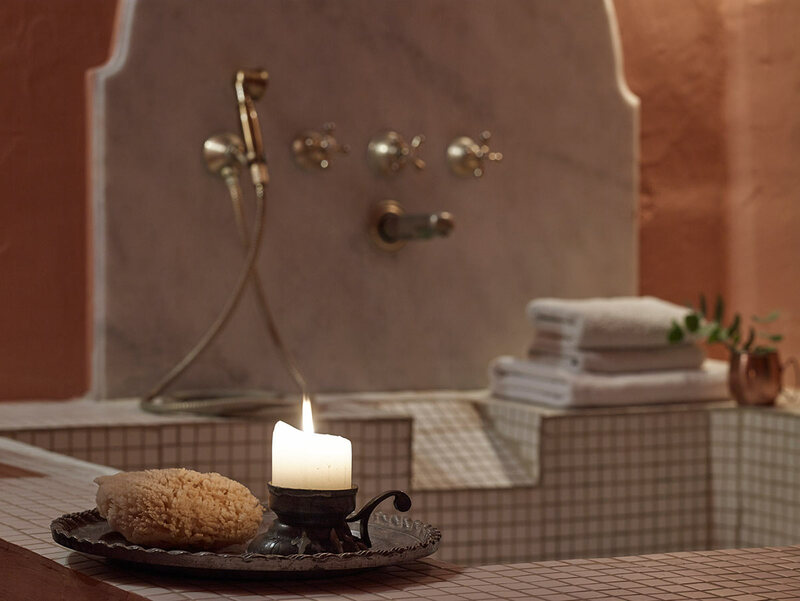 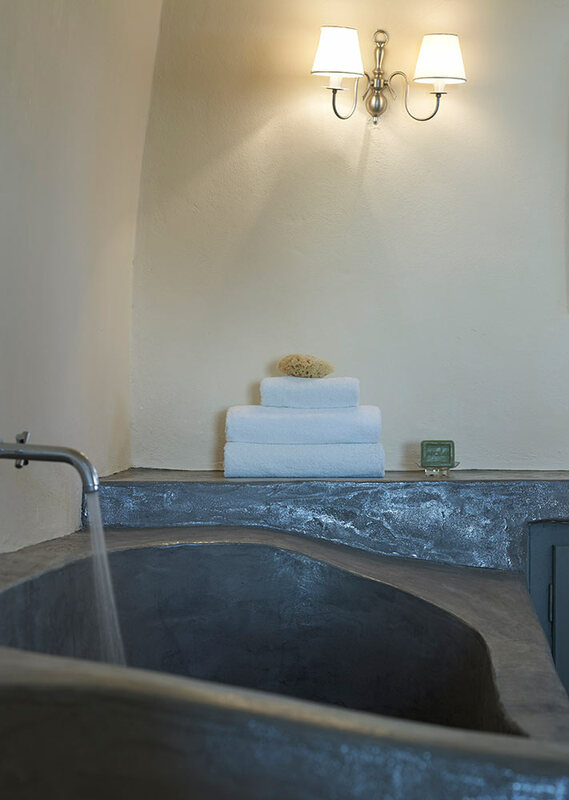 The Canava Suites share a hot tub for luscious moments of relaxation.